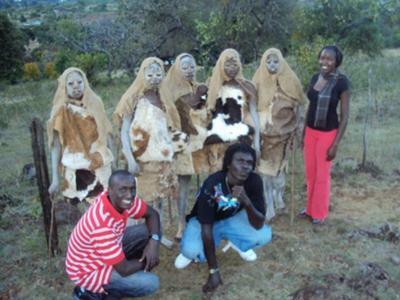 These pictures are from the Nandi tribe of Kenya. This is the Nandi circumcision tradition that only takes place during December. It is one of the surviving cultures of all time, since a very long time I am told. Ptyo we kotnyo ilelitu we chicho!iborji ingony tumdo nyo! Indeed we must preserve our precious culture.If we abandon it how then shall we make real men in the community.Or shall we rely on the childish faction that is kipkanisa?? so far we nandi is losing our culture due lack of recording, we should open avenues for recording it. It s good 4 our children to learn the following; The word of God. I went through this ritual when I was 15 years old..I am an educated man with an engineering degree and an MBA. I an engineer by profession and I tell ignorant and very shallow minded people that this is a ritual that is over 1000 years old..the process and endurance is what has allowed me to face every challenge in life..of course as a Christian I thank God..n this ritual for making me the man I am today..long live the Tumdo tradition. Rick Rayne if u a bigot or u used to do dat wit ua father n fore fathers their then dont blame others. Its a taboo for other communities to know it just respect it. I humbly request my fellow nandiz 2 stop posting such pictures.kitakelen tumdo nyo manai chi lakini itei konai amu ngot ke posteni pictures kotamne kemwa.ngobenyech chi kolelit. MATIRENIK, ongerip tumdo nyoo sitekebe koigeny. Nandi is a unique tribe with unique culture and passage of right. I demand the admin to careful mind any information published on public tethering our tribe's rituals. . . Tum manai lem, nai nandi ak keiyo. please, dont expos nandi culture, be totally careful. Amune si komi chepyoso ak tarushek eng pichait? nandi circumcision like what my fellow mates had said,it should not be exposed as athers think. What are you peopke saying? kongete cheptilet akoi suiyet komi ra internet. Kiitakelen manai lem. Kikonai ngo'ny. effects on our cherished culture. Ngo katam koek katam...inye ne kikisichi komeatite lakwa nebo chi eng or nemaititaat. mi matirenik si komi lakok. culture is what makes us. it is our bride, our legacy what then will those who sell it will say? when people get rich they run away from home but then they realize their kids have a rite to pass and they mix horny,milk and child's puke in the Name of circumcision in Nairobi. I see nothing wrong with sharing our cultures with the world. How else can they respect us? How else can tey know and believe when we tell them what we undergo during our circumsicion/intiation ritual? 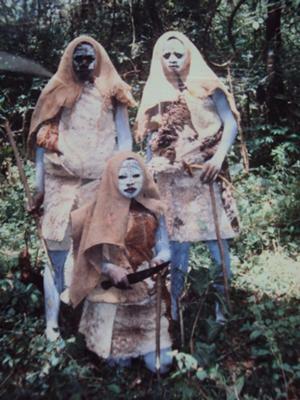 Tumdo nyo manai lem..lets keep on on our tradition..even my sons will pass thru' this ritual ata kama nini itafanyika.. The Nandi refered "TUMTO" as "unknown".. No one knows exactly who the owner is.. Thats is spiritualy belonging to "SACRED" as the words subscribed remained fully secret under Nandi cultural circumcision. This Tumndo should not be displayed on the web because it is our secret tumdo. matopenyench amu ngopenyet negapennyet kolelit kou.........!! we should not expose our culture this way 'ngopenyech chi kolelit........' koparch lemek tumdo,.. all photos n information to be removed and no more post..,. 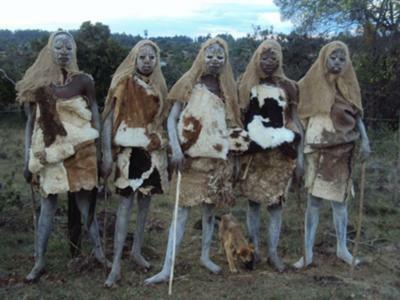 The nandi people circumcision is only meant for those who undergo it it will remain unknown to those who did not undergo it and never should they be let to know whatsoever. the photos and any other information relating to it should be removed from the internet. the culture is only within the nandi territory alone. Keeping our Cultures does not mean we should not let others know whom we are, what we believe in, or what we do different from them! It’s a thousand traditional behaviors, ceremonies and rituals that were inherited from those who came before us, behaviors and beliefs that we model today and then pass on as our legacy for those who come after us. It’s behaviors and attitudes that are core to who we are: respecting differences, customs and believes and the uniqueness of whom we really are! Let the world know that we re not like them. How else can we do that? Only by showing them; in this time of digital era, through photos! Let's post them so that when we tell them circumcision to us has a deeper meaning than just removing the foreskin, they will see it to understand the pains that we undergo! the Westerners are circumcised at birth. Circumcision has no meaning to us! They remain boys for life. For us, we shed off boyhood after circumcision. SHOW THEM, in pictures!!!! They will understand why you get mad when they call you a BOY! When a man becomes a man, each day passing makes him better. a boy is a man to be...pain, blood and acceptance made me. a modern family man who knows God and respects culture....i love that i was born a Nandi. There is nothing wrong with posting pictures of our cultures that we are proud of! We are we because of what our cultures are. It is our pride! Hiding our cultures makes them be deemed as barbaric! It is our behaviours and beliefs characteristic to us ONLY! This is a cultural aspect of the Nandi people which guarded by edifice of traditional structures and for it to do rounds in the Internet without the permission of the said people is not just wrong, it is sacrilege. May the grace of the nine-feeted Asis protect his people, from the gentle plains of Uasin Gishu to the ragged terrains of Nandi Hills. 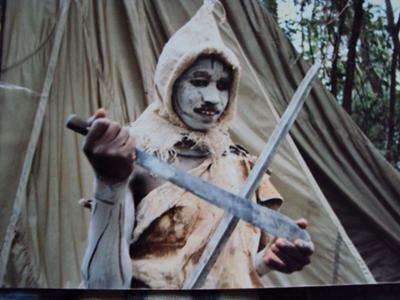 "May the wrath of the Nandi people fall on you outcast" who unfolded our cultural activity to the public. As a westerner and professional photographer I find the sharing of these photographs to be offensive. These photographs depict a sacred ritual which should not be shared or documented via the internet or through a photograph. I suggest these photographs are removed from your website. Let me guess. Male circumcision is fine and female circumcision isn't. Neither are OK in my book. It is stupid to unveil the contents of one's hidden cultural secrets. If at all one did not underwent the ritual of the initiation he/she should leave it to the owners. I am severely hurt by your move to openly spread our culture's secrets to the entire world. "Ngobenyaak chii kolelit" didn't the elders of old say this? May the wrath of the Nandi people fall on you outcast. Circumcision is now a practice of the nation. even Luo's have taken it up in full swing. let all men get it's benefits.